Hello, Goodbye: The Beatles in Tokyo, 1966 is now on display in the National Portrait Gallery bookshop. Open for the general public to view, this is an opportunity for Genesis readers to see photographer Shimpei Asai's limited edition book and prints in person. Both the book and prints are available to purchase on site at the National Portrait Gallery shop, and will be on display until May 8th. 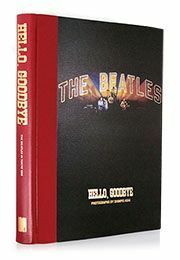 To find out more about the limited edition book Hello, Goodbye: The Beatles in Tokyo, 1966, click here. To find out more about the Hello, Goodbye Fine Art Prints series, click here.